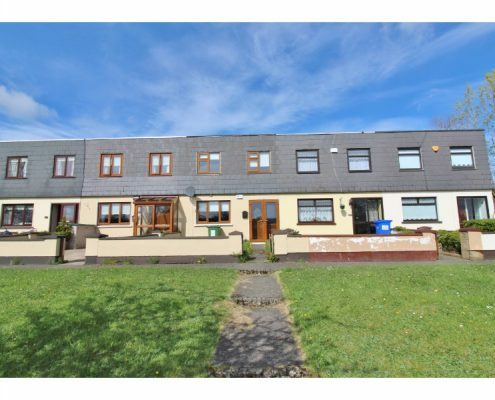 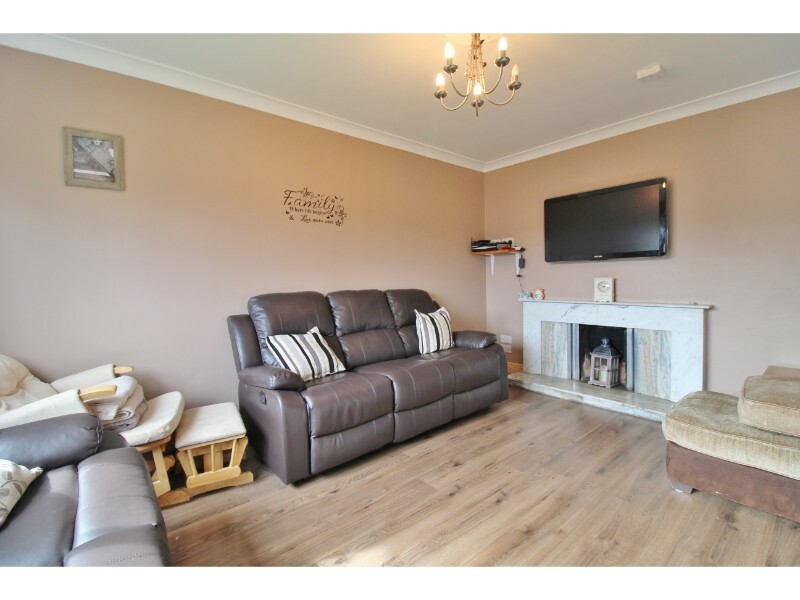 This fine home briefly comprises of a sitting room with feature (open) fireplace, open-plan kitchen/diner, three great size bedrooms and bathroom. 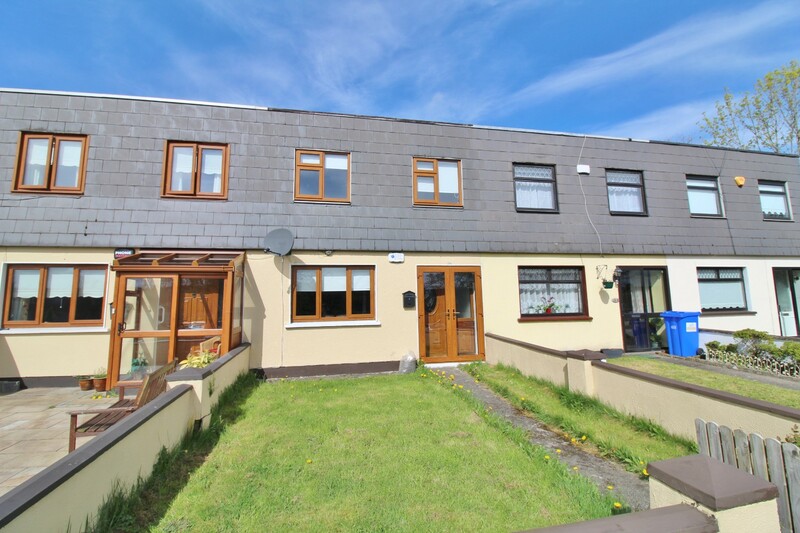 To the rear is a good size, west-facing rear garden and to the front a smaller lawned garden and ample resident and visitor parking. 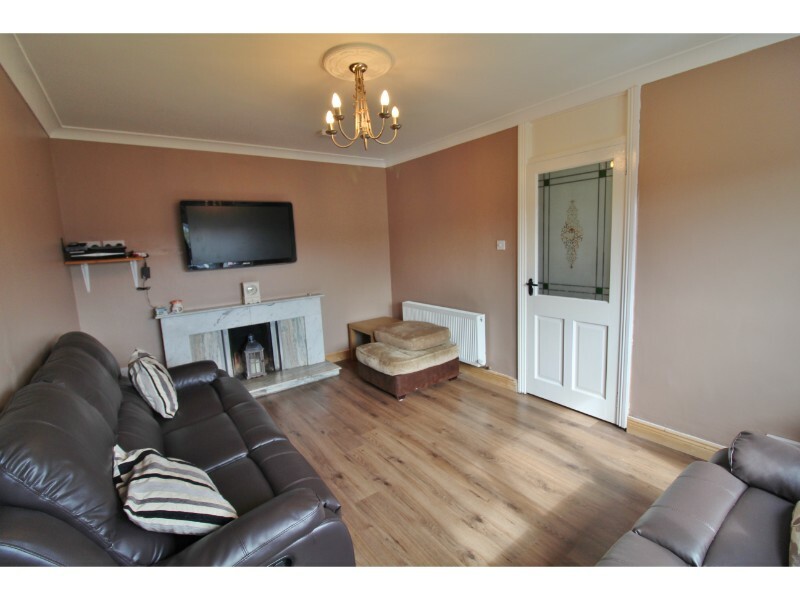 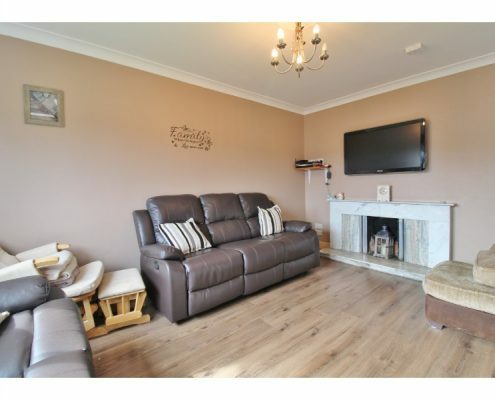 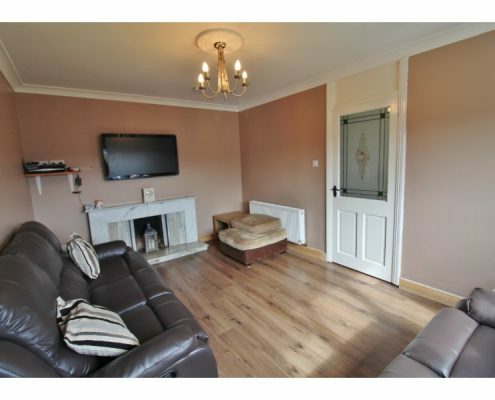 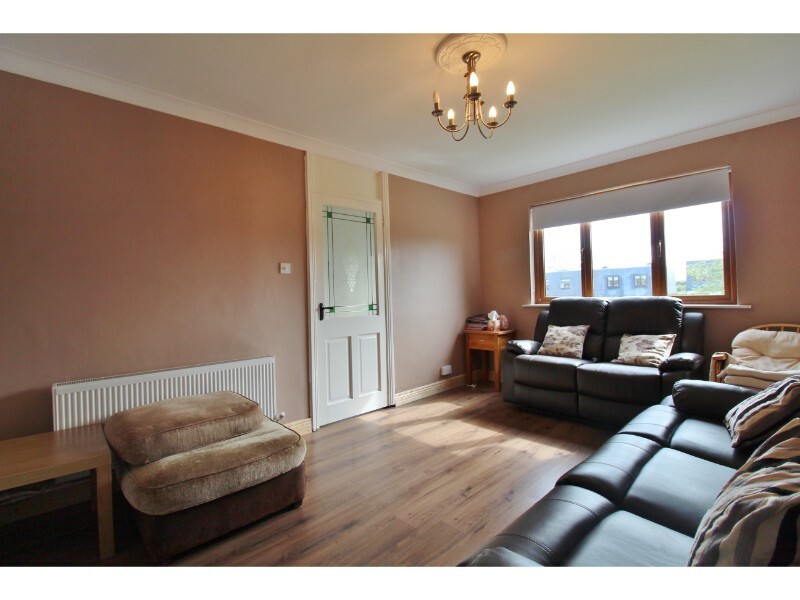 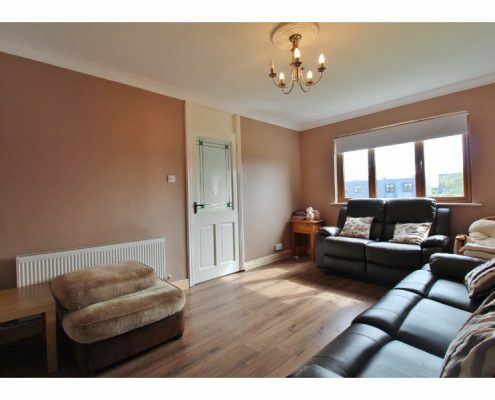 Sitting room: 4.46m x 3.15m with double glazed windows to front aspect, laminate flooring, feature (open) fireplace with marble surround and mantle and coved ceiling. 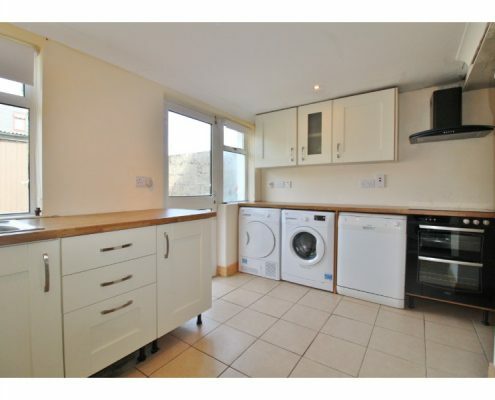 Kitchen/diner: 5.98m x 4.91m with UPVC rear door and double glazed windows to rear aspect, ceramic tiled flooring, a range of both eye and base level kitchen units with block-effect work surfaces and inset stainless steel sink and drainer, cooker, hob and extractor, space for washing machine with plumbing, space for dishwasher with plumbing, space for dryer, space for fridge/freezer, wood burning stove, coved ceiling and spot-lighting. 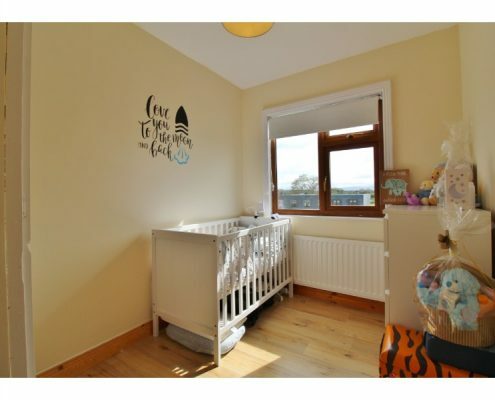 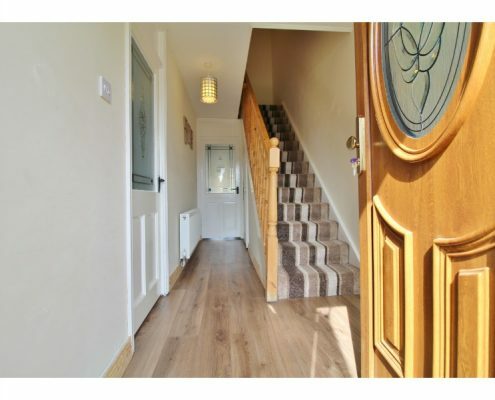 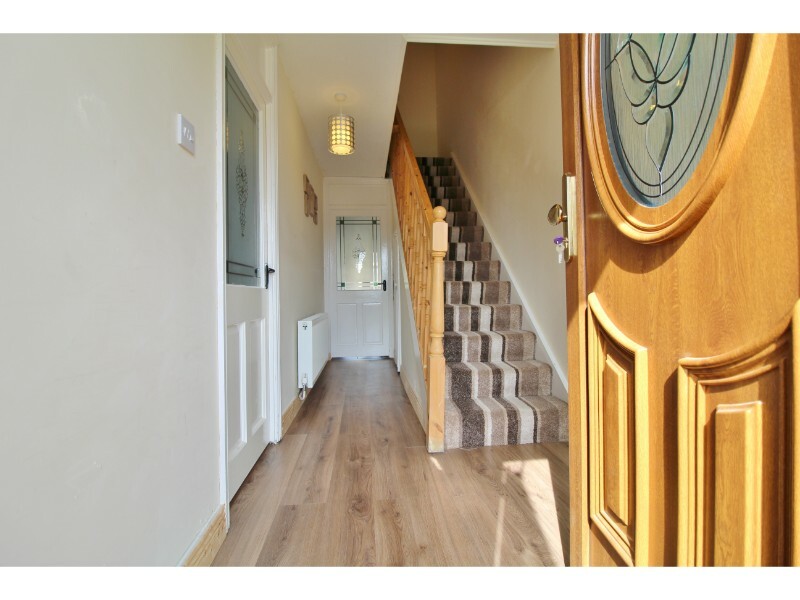 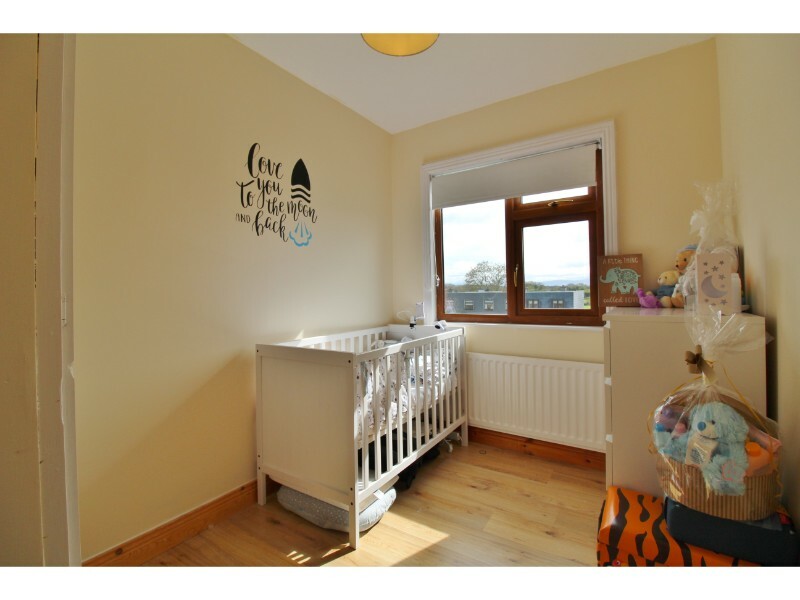 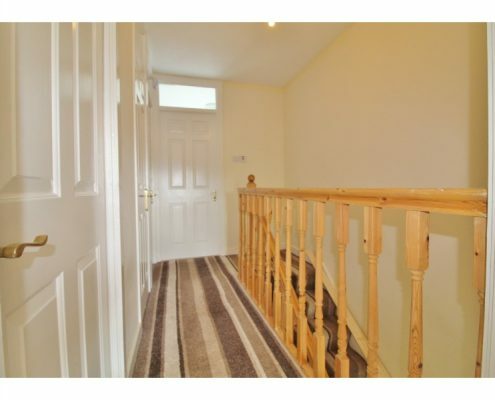 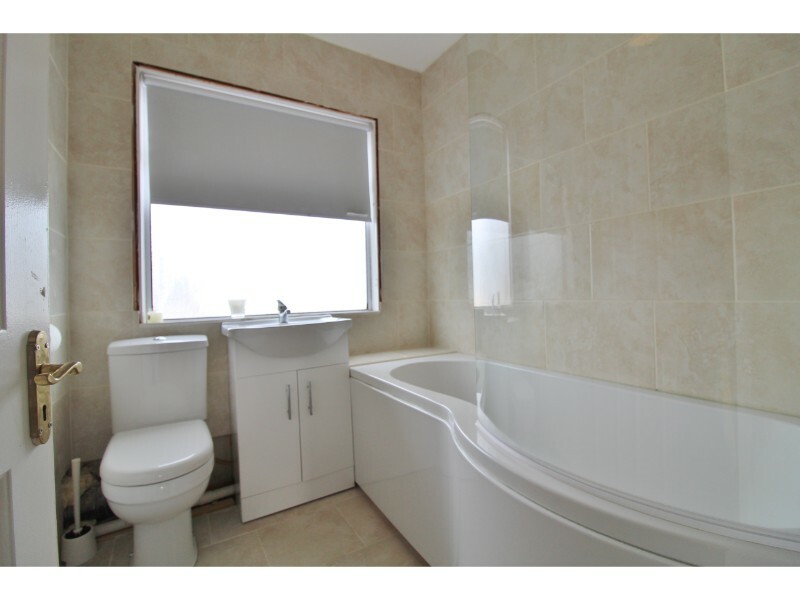 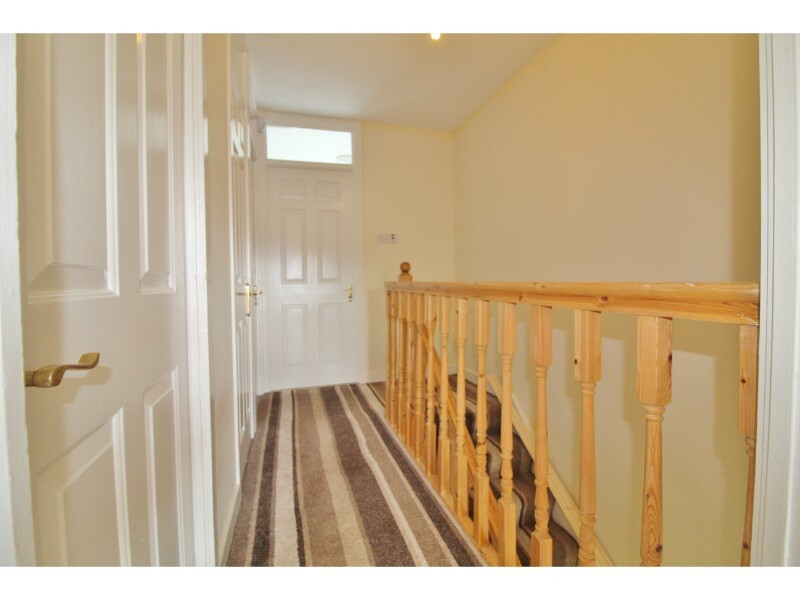 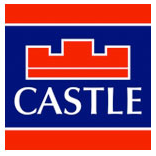 Hallway: 4.74m x 1.74m Enclosed, double glazed porch with ceramic tiled flooring to UPVC front door with leaded light obscure glass panels to hallway with laminate flooring, under-stairs storage, stairs to first floor and alarm. 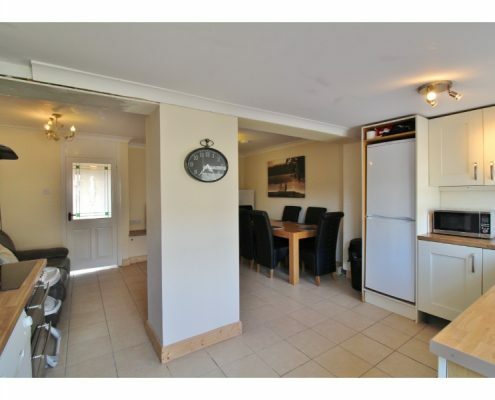 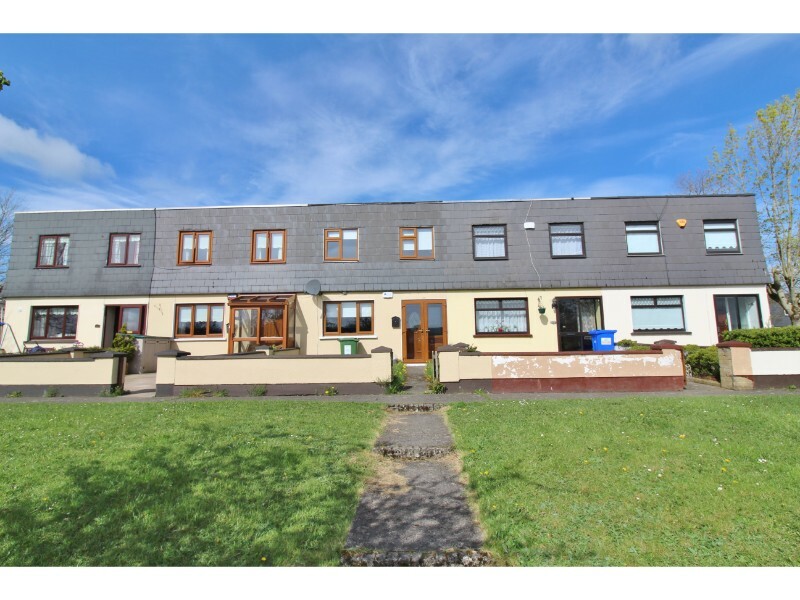 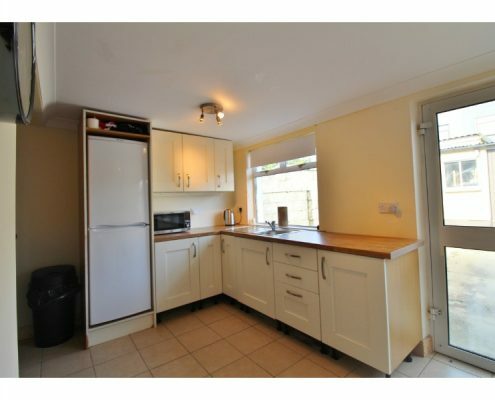 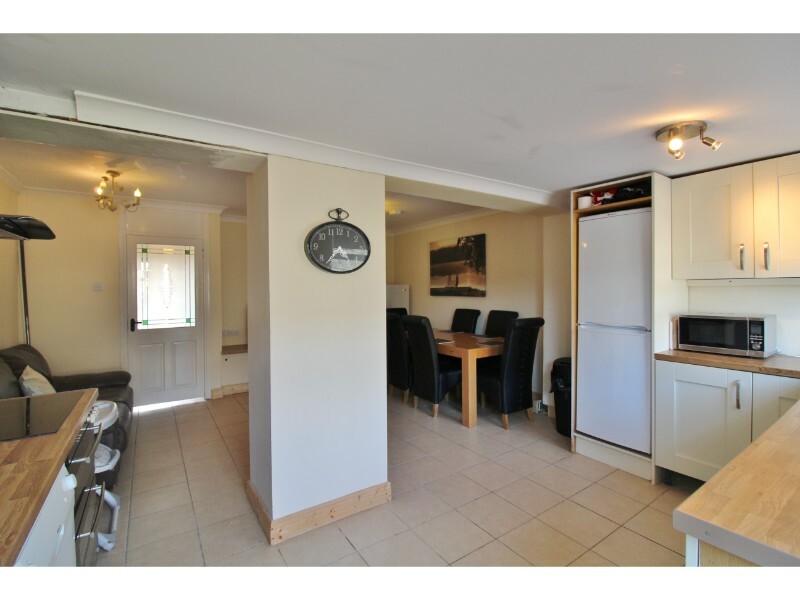 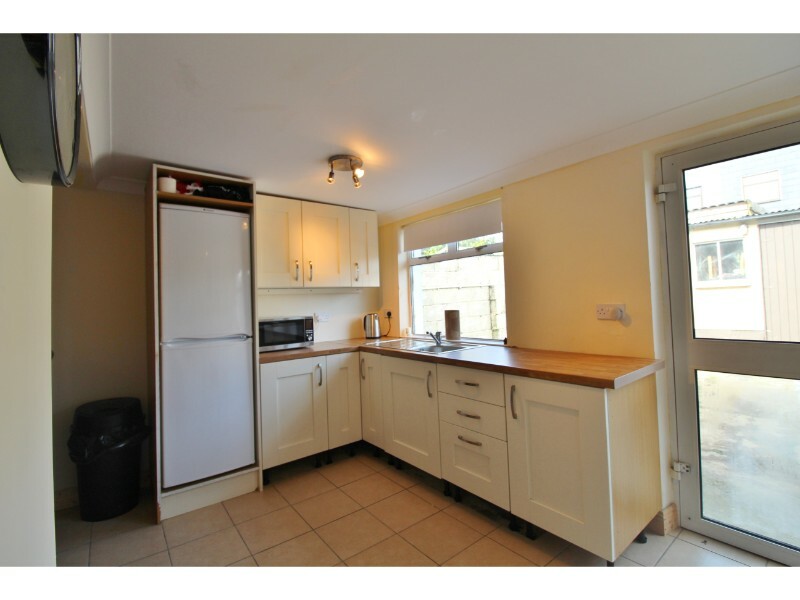 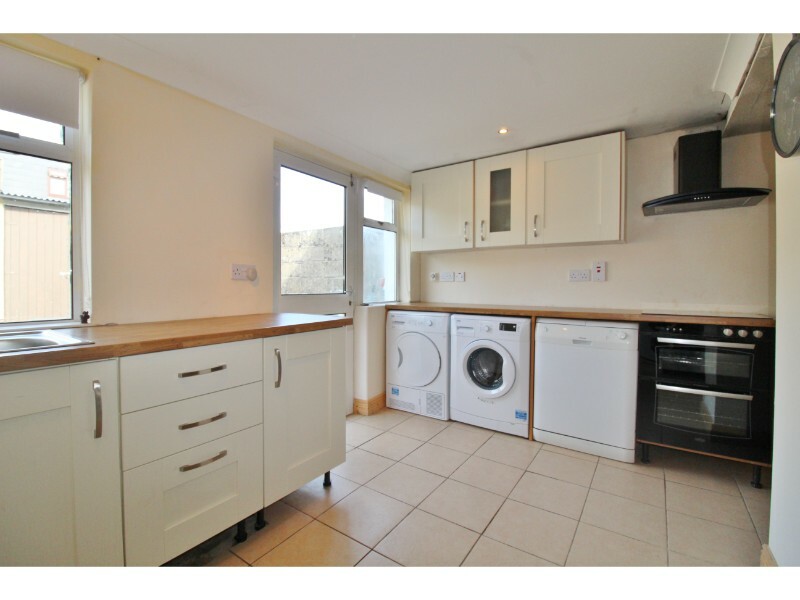 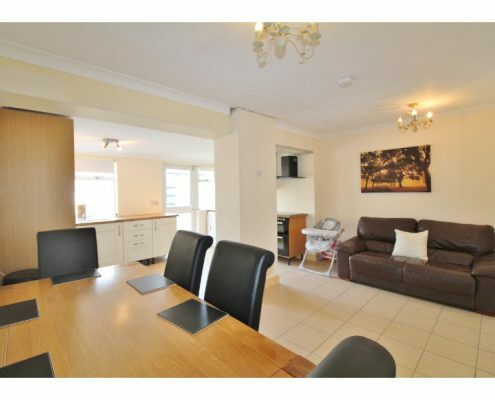 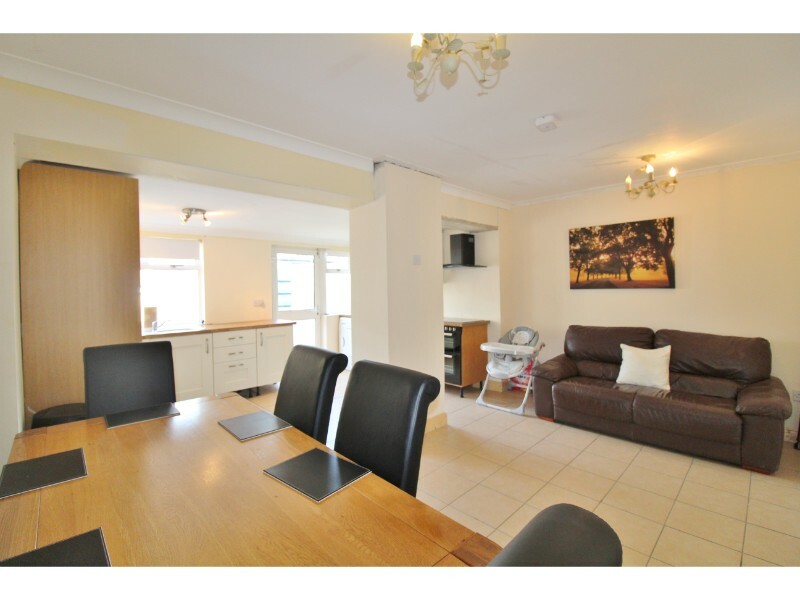 Landing: 3.11m x 1.99m Galleried landing with hot press and doors to all rooms. 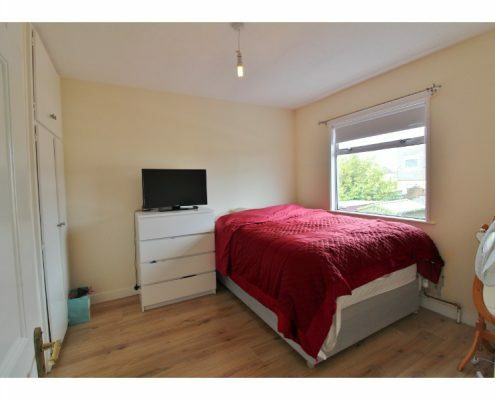 Bedroom 1: 4.51m x 3.04m with double glazed windows to front aspect and laminate flooring. 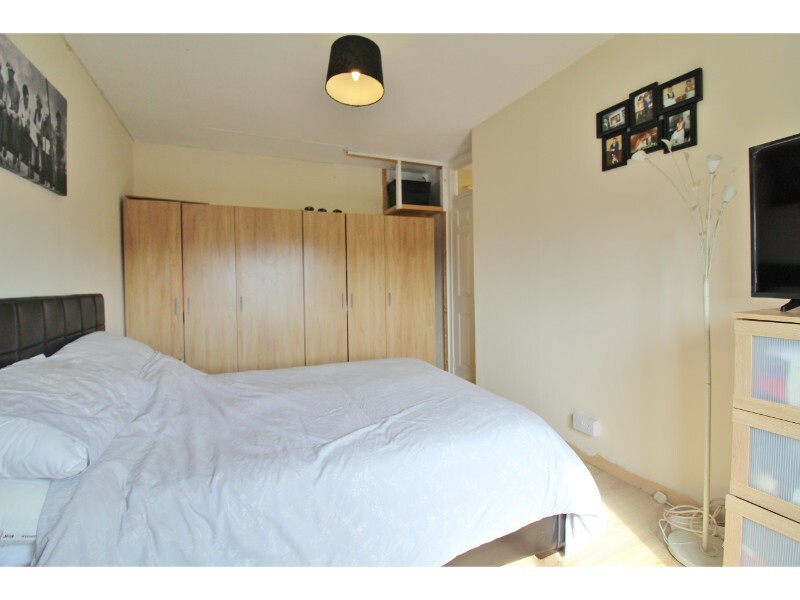 Bedroom 2: 3.05m x 2.11m with double glazed windows to rear aspect, laminate flooring and fitted wardrobes and storage. 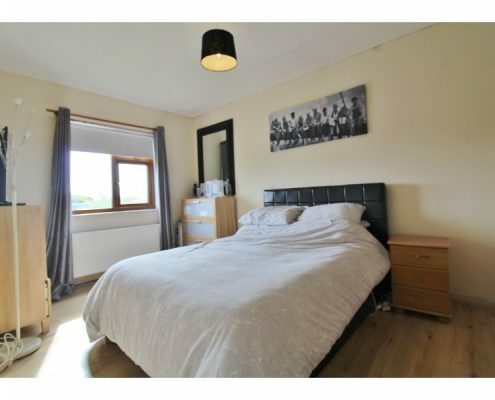 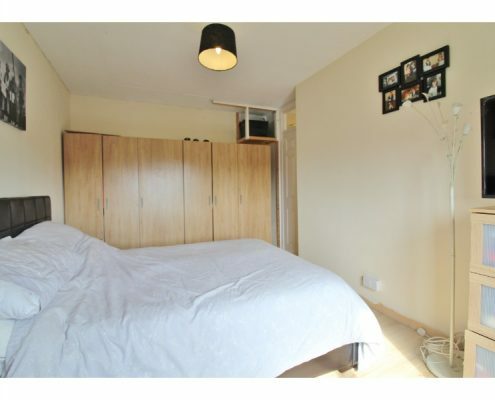 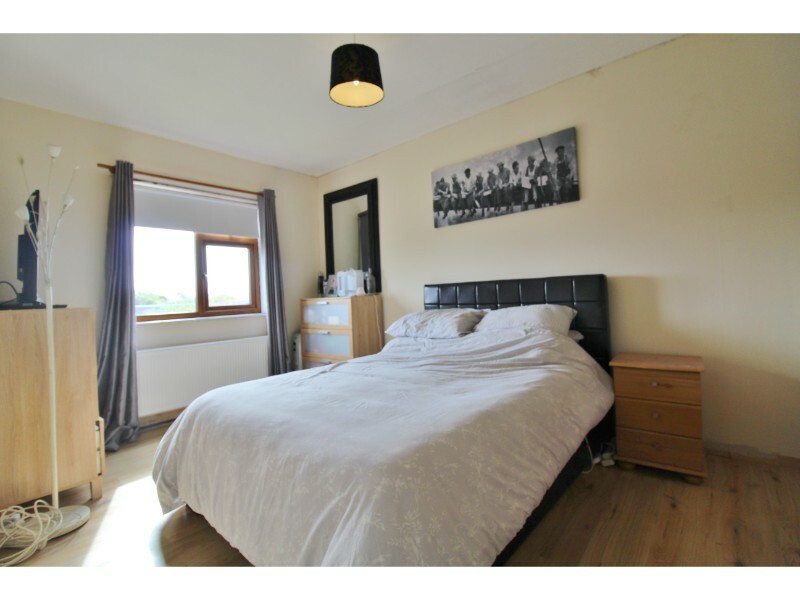 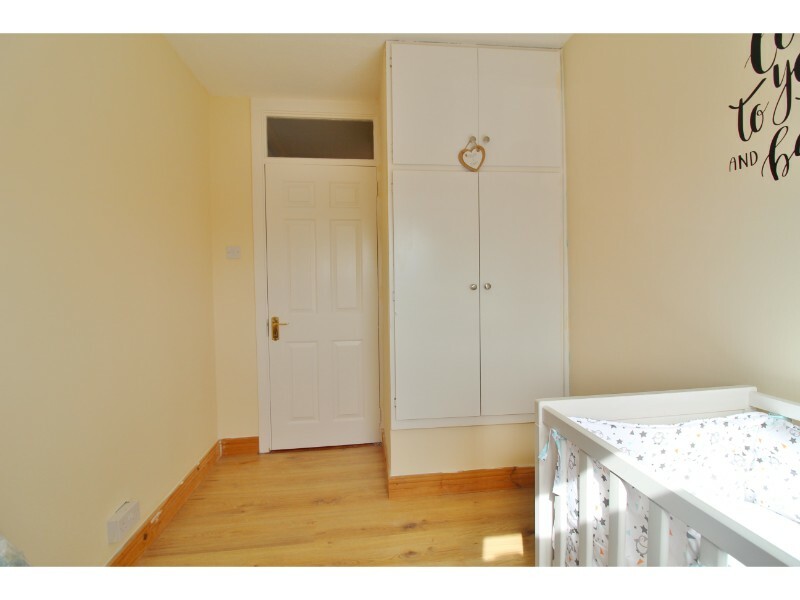 Bedroom 3: 1.99m x 1.81m with double glazed windows to front aspect, laminate flooring and fitted wardrobes and storage. 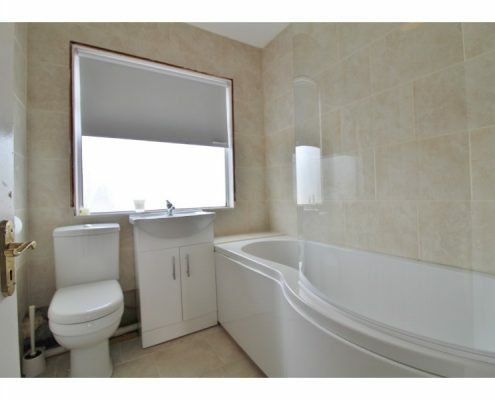 Bathroom: 2.01m x 1.75m with double glazed, obscure glass window to rear aspect, ceramic tiled flooring, newly fitted three piece suite comprising large, corner bath with Mira electric shower over and splash-screen, vanity unit with hand basin and W.C.
Rear: West-facing rear garden with brick-built shed with power and light.